In a couple of days I am launching my new curated online shopping site called CAPSULE. 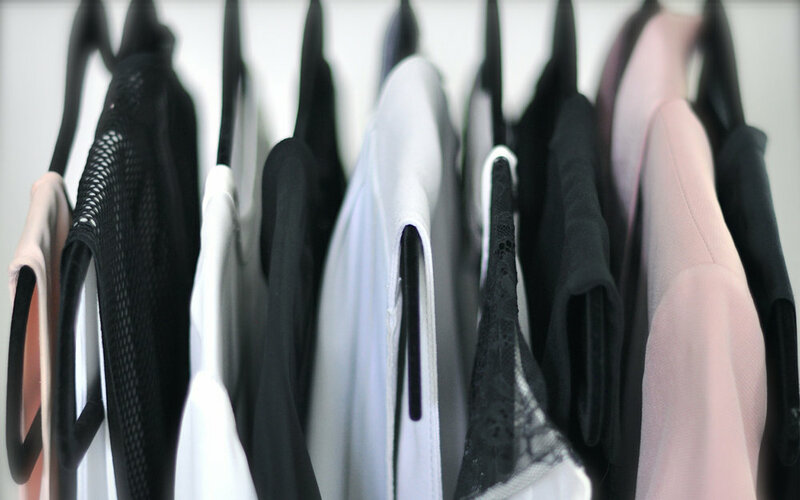 More on that very soon but today's post is all about the basics of a capsule wardrobe. A CAPSULE wardrobe is a collection of high quality, versatile, and essential pieces that define your style and that you LOVE to wear. A capsule wardrobe varies from season to season; consists of 15-30 items; and can be tailored for work, travel, holiday wear, and more. There are a few reasons I started Capsule. After styling women over the past few years I have found that the majority of my clients want to edit and simplify their wardrobes. Women would like their shopping experience to be easier, they want getting dressed in the morning to be quicker, and they wish to have a wardrobe that reflects who they are today. I also noticed my clients were missing a lot of core capsule wardrobe items such as a trench coat, little black dress, and a fabulous pair of pumps, to name a few. CAPSULE was developed so that I could extend my reach beyond personal styling sessions and share my styling tips and the Capsule concept with women all across the globe. Most of you know I hold a Doctorate in Pharmacy and in January I started a full time job with Biotech startup working as a Scientific Medical Liaison in the field of facial aesthetics and beauty. While I have enjoyed styling the past few years this was an amazing opportunity and a nice way to blend my passion of science and medicine with beauty. I work in the field of plastic surgery and cosmetic dermatology- areas of medicine where looking good and feeling good go hand in hand. I quickly realized I needed to have a solid, stylish, and functional work wardrobe- one that works specifically for physician meetings and travel. My spring/summer work capsule consists of the items above along with three pairs of pants and two skirts. Does A Capsule Wardrobe Really Work? I believe it does work. Some may view a capsule wardrobe as being restrictive and limited but it really isn't designed to be that way. A capsule wardrobe should consist of beautifully tailored and versatile pieces that you love to wear. And having a capsule wardrobe makes shopping easier and getting dressed faster so you can focus on the things that really matter to you. I created my own spring/summer work capsule consisting of around twenty pieces of clothing, three pairs of shoes, and a couple of work totes. I hang these items together in my wardrobe and these are the items I wear most days of the week. Occasionally I will still wear other items in my wardrobe but these are my "go to " pieces- the ones that fit well, are interchangeable, and I love to wear. The process is simple and it works. The first step is evaluating what you have already and getting rid of the items you don't wear or don't like. After assessing what key pieces you already own and fit into your capsule you can begin to shape your capsule wardrobe and fill in the gaps by purchasing the missing items. You can create a capsule for work, the weekend, loungewear, travel, or a capsule for the current season.